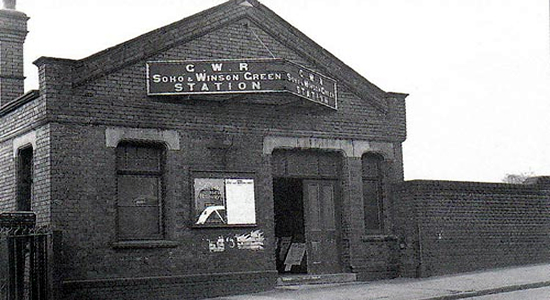 Soho & Winson Green station was opened as 'Soho station' by the GWR in 1854 on their new line linking Snow Hill station with Wolverhampton Low Level. The station was a typically large affair with multiple platforms, waiting rooms and the trademark GWR conopies with their darted fringes - much reminiscent of the GWR station at Tyseley. The above photograph shows the booking hall in 1964 (photo: Ron Moss) looking rather near the end of its shelf-life. The booking hall/entrance stood on Benson Road and finally closed with the rest of the line between Snow Hill and Wolverhampton Low Level in 1972 following a gradual reduction in services during the preceding few years after British Rail decided to invest their 'rejuvenation' money into the electrification of the New Street - Wolverhampton High Level route and thus funds for the ex-GWR route and stations was not forthcoming. 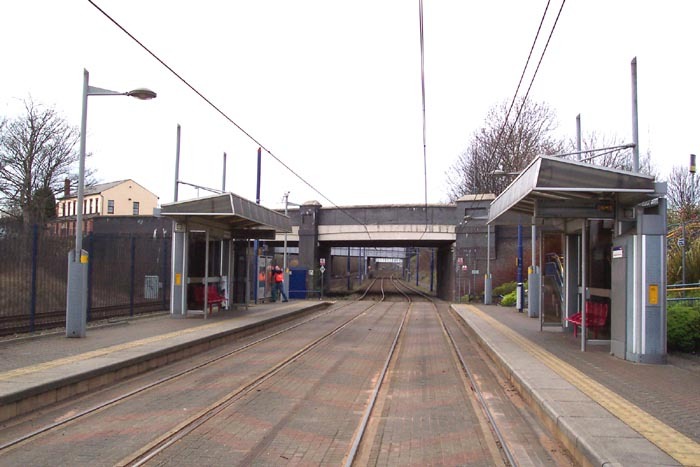 However, in 1999 the track was freshly laid and reopened as part of the Midland Metro with the site now renamed Soho, Benson Road. 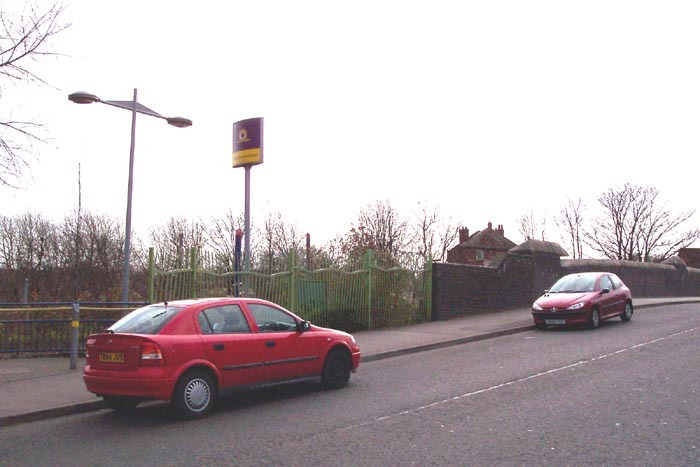 Above-left we are on Benson Road looking at the spot shown in the 1964 photograph, the site of the booking hall now being marked by the green iron fencing which forms the entrance to the Metro stop. Above-right we are still on Benson Road bridge and looking down at the present day Metro stop towards Snow Hill. The original station platforms were on this site but extended further, stretching partly around the right-hand curve ahead. 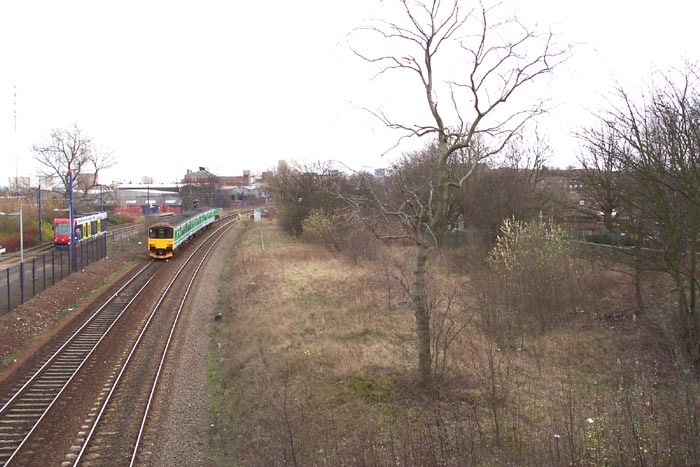 Additionally, the space to the far-right of the shot was occupied by sidings which are no longer in existence and included a goods-only line from Hockley. 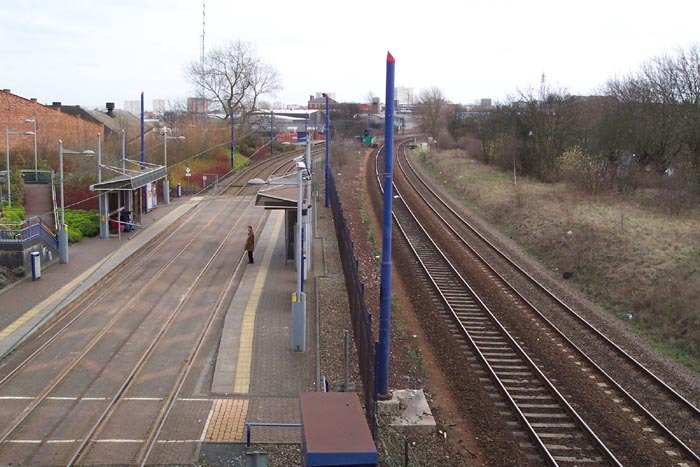 The view clearly shows the juxtaposition of the heavy rail line line between Kidderminster and Leamington Spa (via Snow Hill) to the right and the light rail Metro to the left. This situation also persists at Jewellery Quarter station but here there are no stopping facilities for main line trains. 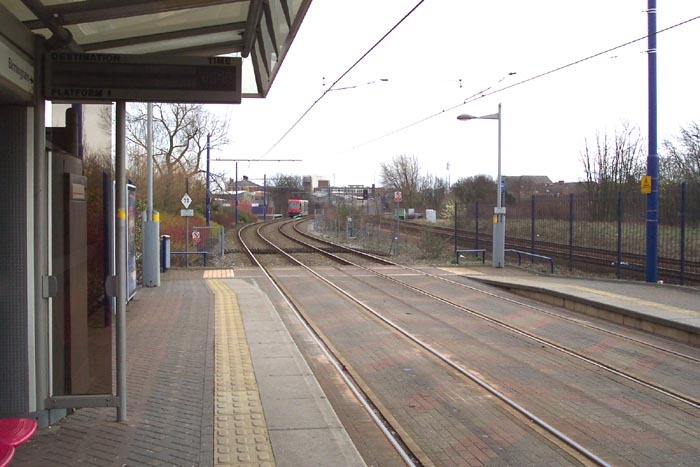 Above-left is a good illustration of the light/heavy rail mix at the site and shows well the now derelict land to the right of the tracks. Above-right we are on the Birmingham platform of the Metro stop watching a T69 tramcar head-off for the Jewellery Quarter station. Above we are again on the Metro stop, this time in the middle of the tracks, looking back at Benson Road bridge towards Wolverhampton. In terms of visiting, the site is of marginal interest: the Metro stop is as all Metro stops (relatively ununspiring albeit functional) and little remains to signify the site's past main line glory.